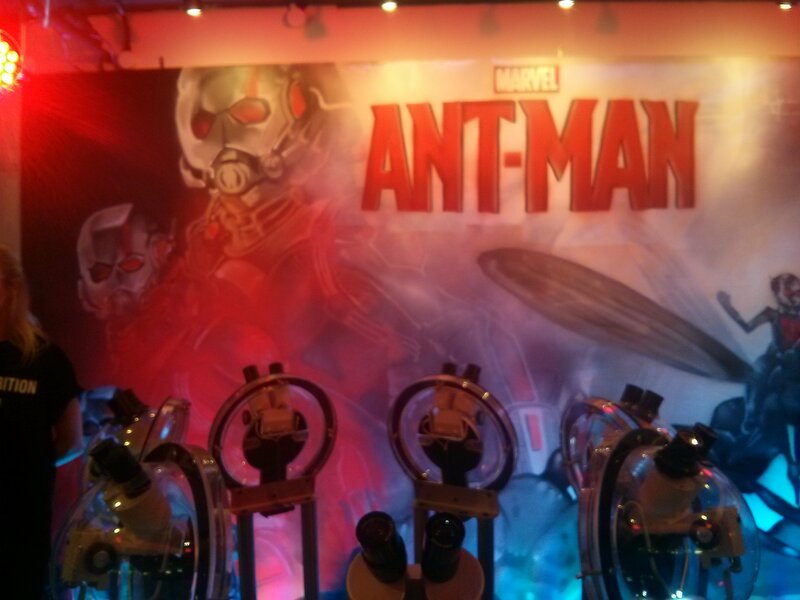 You are here: Home / Movies / Features / Is it worth going to the Ant-Man exhibition in London? Is it worth going to the Ant-Man exhibition in London? To celebrate the release of Ant-Man this week, an exhibition – or should I say Antsibition – has opened in London’s Old Street Tube Station. It features concept art, film stills and best of all, microscopic art by Willard Wigan. Is it worth a look? The work of Wigan is incredible and seeing his creations such as Ant-Man, various landscapes, The Last Supper etc inside the eye of a needle is very impressive. You have use these microscopes to view his work and when you step back to look at the needle with your own eyes, you cannot believe it’s possible to create art there. So for art lovers, it is great. However, there isn’t THAT much there for Ant-Man fans, it is more linked in theme as Wigan’s art is micro in scale, like Ant-Man. Sure there is a cool Ant-Man mural on the wall (top picture), the ant carpet from the premiere last week and some stills/concept art. But that’s it really. 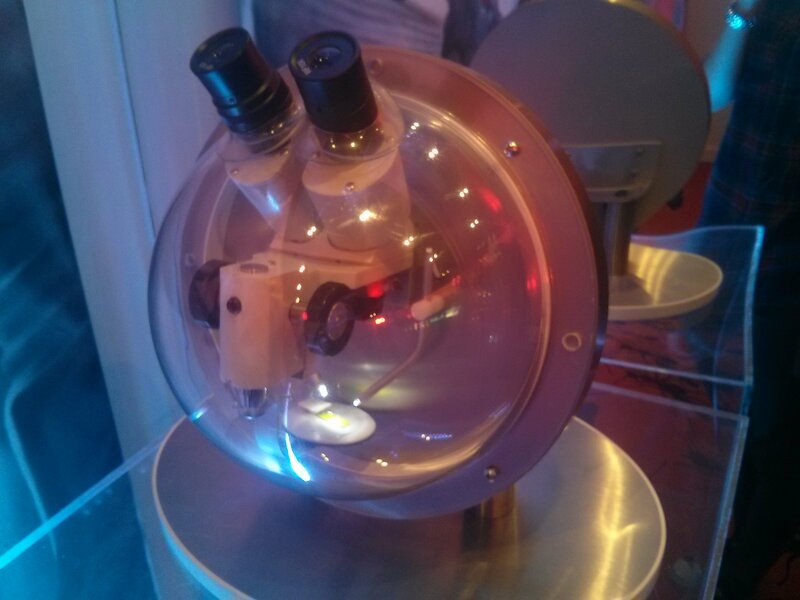 The space is small so you don’t want to go when it’s too busy as you will have to queue for each microscope. The staff are really friendly too. It is cool to see Willard’s work but it’s not a must-see for Marvel fans. I would say check it out if you are near Old Street (it’s by exit 1) but don’t make a specific journey there as it will only take you 10-15 minutes tops. The Antsibition is open until the 17th from 8am to 9pm. The film is out on 17th – check out my review here. My other exhibition pics are below.